Setting sales goals for your team is not easy and sometimes it can feel like taking a shot in the dark. So many factors - both internal and external - come into play that can help or hinder your ability to hit targets. The biggest mistake a sales manager can make is focusing solely on the numbers. Sure, you want to drive more sales and strive for greater success, but without a solid plan detailing how to achieve a tangible set of goals, it’s unlikely your team will make your number. You also need to consider the overarching long-term goals of your company. In an effort to hit numbers, reps can chase bad, unprofitable, high-churning deals. This can have serious ramifications for your company’s reputation because reps over-promise and your product or service then under-delivers. Importantly, you want the numbers you settle on to be achievable and motivating. If reps feel their targets are unreasonable and unachievable, they will spend more time interviewing at other jobs than focusing on hitting your goals. So how do you start setting smarter goals? Use the SMART methodology to guide your strategy. Use these factors as a checklist to validate your planned sales goals and targets. Ultimately you want these goals to motivate your team to exceed expectations and drive your business towards new levels of success. Setting sales targets - bottoms up! In order to set targets for your team, you first need to understand how to get there. Handing your team a quota without considering a plan of action to meet that number is unreasonable and unhelpful. While it’s important to challenge your team to meet targets, you need to be both realistic and strategic. The next step is to translate this forecast into sales goals for your team. Felix Beccar, Head of Strategy here at Pipedrive, believes the best managers are the ones who challenge their team members, and that includes setting appropriate targets. Working backwards from your company’s annual revenue target gives you a realistic view of the activities required to drive the desired result, and helps you to determine what’s achievable. Let’s do some quick math with a salesperson goal-setting example. Look at a given team member’s past performance and figure out how many calls, emails or meetings they typically need to close a deal. If it takes them 10 calls to make a sale, then their close rate is 10%. Now calculate how many calls they need to hit their target. If you want them to close 50 deals this year, they need to make 500 calls. Breaking down your annual target into smaller monthly or weekly chunks will create a sense of immediacy for your sales team to start working towards their target right away. Beccar rightly notes that “in sales you can't control the results, but you can control the actions and the inputs of that process”. Setting result-oriented sales goals can be damaging for your team and your bottom line. Rather than telling your rep they need to close 50 deals this year to meet quota - tell them they have a goal of 10 calls this week. There is nothing more daunting or frustrating than feeling out of control, so empower your team to take charge of their actions. Setting achievable goals that your sales team can control is pivotal to boosting morale, motivation and confidence. This will also help keep your team on track throughout the year, enabling you to monitor their progress more effectively. Remember - no two sales reps are created equal. Skill sets, strengths, experience will vary. Keep this in mind when you are working with your team members to set realistic goals to meet their quota. Don’t let revenue monopolize your focus when you set goals for your salespeople. Think about setting goals that will inspire your team to sell better. Speak to your team about their strengths, weaknesses, and the areas they are looking to improve. This could be something as simple as improving product demonstrations or building confidence with executive conversations. Set aside time to coach your team and set targets to help them achieve their personal and professional goals. Your team want to know that you value them enough to invest in them. Encouraging your team to grow professionally will result in stronger performance and more targets reached in the long run. Tom Pepper stresses the need to take time to build your strategy in advance. Meticulous planning doesn’t just involve looking at what you have to achieve your goal, it also examines the gaps and the obstacles. No sales manager sets out to fail, but roadblocks are an inevitable part of business. Developing a proactive plan to deal with setbacks puts you in a powerful position to troubleshoot quickly. Your plan doesn’t have to be exhaustive. Just follows this quick process. Start with identifying the potential barriers to success. Take a look at your team: Do they have the right skill-sets, abilities, and systems in place to meet their targets? Is your team sufficiently resourced? You also need to have a solid understanding of the market, demand for your product and competition. Acknowledge your biggest potential obstacles, both internal and external, and establish a strategy to tackle them to put yourself in a position of control. Setting and monitoring these sales goals for your team isn’t enough to achieve results. Here is where assigning yourself goals as a sales manager really comes into play. Focus your goals around the actions you can take to empower your sales team to smash their targets. Getting the right system in place to facilitate simple pipeline management and successful selling should be your top priority. Sales reps that are bogged down with admin are not spending time where it matters most. Having the right CRM in place is crucial for sales managers and reps to track performance and measure progress. Effective sales reporting gives you the insight and data you need to refine processes and boost productivity. You also can’t ignore the value of having face time with your sales team. While it’s important to manage your team and focus on targets, they should also value you as a mentor and sales coach. Take the time to make sure your team understand their goals and how they can achieve them. Do they feel confident with the goals you have set? Do they foresee any challenges? Where do they need your support? Regular one-to-one and team meetings make it easier for you to evaluate performance, discuss challenges, share learnings and celebrate achievements. 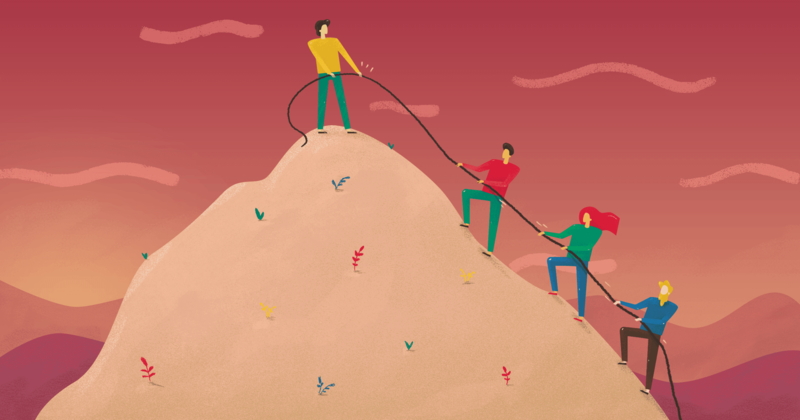 We have already discussed how activity-based goals allow your team to win back control, but now you need to help them to prioritize these goals. Determine the goals which generate the highest value or make the most impact and encourage your reps focus their energy accordingly. This should include tasks that matter most to their professional goals and the company’s bottom line. 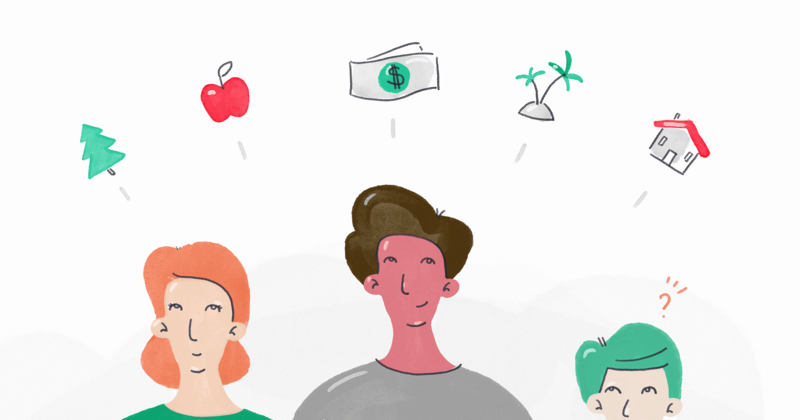 Performance driven bonuses and incentives are key to get the best results from your team. It’s a no-brainer, incentivize sales targets for your team. You should also think about ways to acknowledge smaller activity-based goals and milestones like upsells and retention. This will encourage your team to sign off on the right customers and focus their attention on the customer lifecycle. Celebrating quick closes that don’t translate into long term customers isn’t healthy for your team, or your business. While setting realistic targets is important for team morale, both Pepper and Beccar point to the use of stretch goals as an important tactic to achieve success. Sales managers should establish stretch goals for themselves and their team. There’s nothing wrong with encouraging your team to exceed expectations and strive for more, but make sure you incentivize their efforts. Without clear goals to work towards, your team are likely to lose enthusiasm and momentum. This will have a massive impact on performance and revenue. By setting a clear objective, you provide something for you and your sales team to strive towards and benchmark performance against. This insight helps you determine what’s working and what’s not. Apply this formula to your strategy and employ an action-oriented method. That’s how you can set smarter goals that you and your team can consistently achieve. Setting goals that are both challenging and attainable will motivate your team to strive for greatness, and in turn, drive long term success for your business.